In many parts of Montana, the mountains play an integral role in the recreational opportunities that outdoor lovers get to experience. But what happens when things go wrong, when a trek into the backcountry turns into a mission to save someone’s life? In Big Sky, a ski resort community straddled between two mountain ranges and the Lee Metcalf Wilderness Area, backcountry rescues are a fact of life. With a growing population of hikers, hunters, horseback riders, and skiers, the rugged area around Big Sky is ripe for exploration. In every season when people get lost, hurt, or killed in the mountains, the all-volunteer Big Sky Search and Rescue (BSSAR) team is ready. National Forest Avalanche Center (GNFAC)—mobilized for the mission. By early afternoon, the team had recovered the skier’s body and transported it to the Big Sky hospital. This collaboration is key during any rescue in the mountains. BSSAR was formed in 1992 by local business owner Ed Hake, and was established under the already existing Gallatin Country Search and Rescue—which also includes a West Yellowstone section. Even back then, Hake, an outfitter who spends a lot of time in the wilderness, saw the need for a specific local group as more and more people were heading out. These days, BSSAR has 33 members, who all carry a Wilderness First Responder or Emergency Medical Technician certification. There are members who are certified as both, as well as a doctor, nurse, and paramedic on the team. Training happens at least once a month, practicing specialized techniques like swiftwater , low angle rope, and avalanche rescues, as well as basic equipment operation and GPS and radio skills. Gallatin County SAR as a whole responded to 136 calls in 2016 and 102 in 2017. 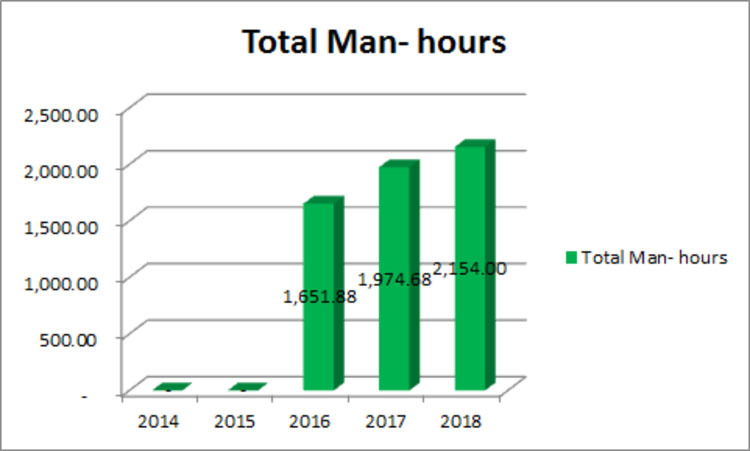 In 2017, there were 158 volunteers between the three sections and more than 5,500 hours was spent on training and missions. The Big Sky team alone responded to 29 incidents in 2016 and 26 in 2017, and has gone on 33 missions so far in 2018. More than 2,100 hours were logged in training and rescue missions. One thing that is different about Big Sky is that it operates as a separate 501(c3) organization, which means it can seek funding other than that provided by Gallatin County. For example, it receives money from Big Sky’s Resort Tax district, which allows for investment in things like equipment, maintenance and infrastructure. It operates on a rather meager $12,000 average yearly budget. When a call comes into Gallatin County, often through 911, the sheriff’s department takes over and a member of that department oversees the mission and acts as incident command. Search and Rescue teams are requested on a mission-by-mission basis and once deployed, a team member is an acting auxiliary officer of the sheriff’s office under Montana Law. Devin Heinle, 26, moved to Big Sky in 2015 and joined BSSAR shortly after. Coming from eastern Montana, he wasn’t used to the mountainous terrain around the area but was eager to learn more about it. Not every mission is dramatic as last fall’s avalanche victim recovery. Many are for lost hikers or non-life-threatening injuries. Heinle responded to one this summer where two young hikers ran out of water on Big Horn Peak in Yellowstone National Park. They “freaked out,” says Heinle, and found a spot where they could use a cell phone to call 911. Heinle and a group of others left at five the next morning, hiked more than six miles with food and water, and then helped them walk back out to the trailhead. 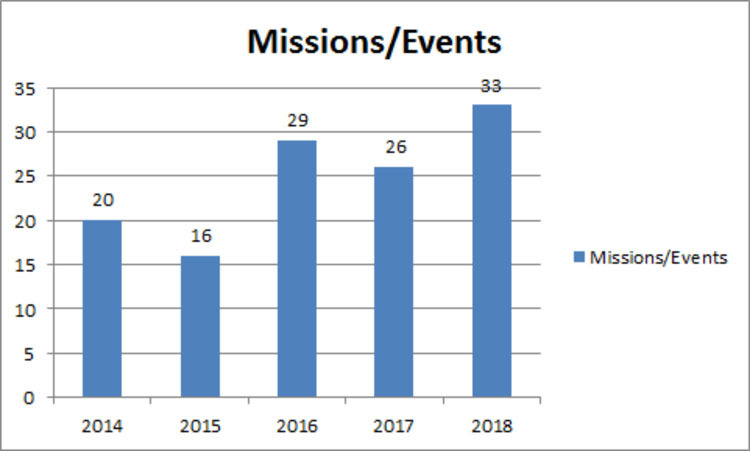 The missions fluctuate every year, according to Walker, the BSSAR secretary. In 2017 there was a high number of horse-related incidents, while in 2018 there has only been one. This past summer there were many calls related to lost or injured hikers; and a winter with a bad snowpack can make for more avalanche calls and backcountry skier injuries. Whatever the mission, the Big Sky Search and Rescue team is ready. As the snow starts falling, they’re making sure the equipment is in good running order and members are up to date on their training and in winter mode. They know a call could come at any time.